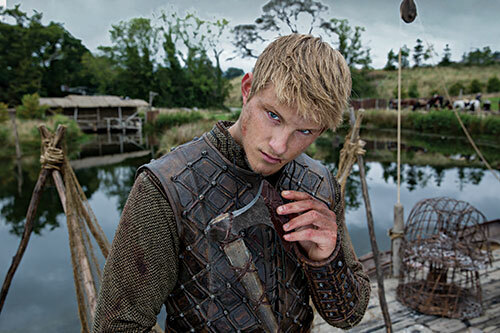 As most of you are aware, Alexander Ludwig is now playing an all grown up Bjorn Lothbrok. Some of you might be familiar with him since he starred in “The Hunger Games”, but some of you might not. He talked to TV Guide about what it’s like playing Bjorn on “Vikings” and what we can expect to see happen to his character this season. He also talked to Access Hollywood on his new wacky hair cut (at least to those who aren’t fans of the show) and his new accent, as well as Bjorn’s relationships with his parents. These interviews may contain spoilers…so please read at your own risk! Enter your email address to follow All About Vikings and receive notifications of new posts by email. Episode 2.04 "Eye For An Eye"
This fan site is in no way affiliated or linked with "Vikings" show, cast, their management or anyone affiliated with the show. This website was created for entertainment value only. If there is any content on this website that you feel violates your personal property/copywright, please let us know and it will promptly re-credited or removed.